You probably think I’m going to gloat over my long-standing Jared Goff (26-33 for 465 yards, 5 TDs/0 INT) promotion and defense against everyone in football analysis. Now, is not the time for gloating. Let’s keep this scouting call in perspective. Come on! Of course, I’m going to gloat. I’ve been watching this relentless media attack on Goff since he started breaking out last season. It’s one thing to kick him while he’s down…his rookie year with Jeff Fisher. There was a case to be made by the opposition then. It’s another to be constantly wrong about him as it’s unraveling right before your eyes over two seasons. Why is it I was the only one who could see this? I mean, I didn’t even play the game in college or the pros…my opinion doesn’t count because I’m a number’s nerd, right? THEY have all the inside insight and contacts and watch practices and games (allegedly). Why did THEY ALL miss it? Not some, not a lot…ALL. THEY are so clueless on this stuff, this study of football they are professionally paid to do…and THEY consistently just go with the whatever the group-think opinion is and lock in as fact and never change their thinking on it and build arguments around the group-think on things they have no real firsthand knowledge or study of. It’s not a crime to be wrong in scouting…it’s a crime to not be able to admit it, to see the error, to not change and adapt. They are going to ‘blame’ Sean McVay, Todd Gurley, the O-Line…anything but Goff. They’ll all marvel at this particular game…solo night games tend to change everything because these people are actually forced to watch a game for a half or so before they hit the club or bed. In two weeks or so, when this washes off, they’ll be back to dismissing him. I will reiterate…the Rams have the best chance of going 19-0 more than any team in a long time. Whatever their final record ends up, today they’re a Super Bowl favorite. The media was with Minnesota for the title, and probably still are if you pushed them (they don’t give up their group-think easily or ever). Sorry Vikings fans – it’s not going to happen this season. The Vikings play at Philly next week, if they lose that they fall to 1-3-1. I project they’ll climb to 4-4-1 by their Week 10 BYE, but then the death blow…at CHI, GB, at NE, at SEA in a four-game stretch, three road games, two that could be cold for the dome team. If the Vikes go 1-3 in that stretch, they fall to 5-7-1, needing to win out to 8-7-1 in an NFC that needs 9 wins to get to the playoffs. The Vikings aren’t bad…it’s that they’re a touch overrated, but then it’s their schedule – as I’ve said since the summer. Losing to the Rams here wasn’t a crime…it’s just a clear notice – they aren’t beating the Rams when LAR is at full strength and at home in the playoffs (if MIN can that far). -- Jared Goff (26-33 for 465 yards, 5 TDs/0 INTs) now has thrown 38 TD passes/8 INTs in his last 18 regular-season games. He has 300+ yards passing in 7 of his last 12 games played. Can we start calling Goff ‘great’ and ‘must start’ (for fantasy) and ‘MVP candidate’ now? No…no…and no for the mainstream. Yes…yes…and emphatically yes for me (and have been for weeks). Would I trade Goff as my QB2 sitting behind Mahomes or Rodgers, for example? No. Why? He hasn’t hit full value yet. He’s not fully appreciated, and he probably will never be. I’d use this as an opportunity to trade Rodgers (reduce risk of the knee injury re-aggravated) and roll with Goff. Goff is not going away…this only keeps up/gets better because of this offense/coaching staff. I saw this coming all last year. I could see the development BUT most importantly he was given the opportunity to pop – greatest head coach in football and adding weapons around him. I could see it. We all prospered from ‘it’ last year and now again this year. It’s why I’m running from Mitchell Trubisky, and the Bears…I see what’s happening there too -- and it’s not good what the coaching staff is doing. I know this is not all Goff, it takes a village (coach, O-Line, run game) but that shouldn’t discount the fact that Goff is a great new-era passer from college…the NFL game is a piece of cake for him. He played in a high-volume passing program like a Texas Tech, while at Cal. Goff and Patrick Mahomes…extremely talented, extremely practiced from college. Baker Mayfield has similar DNA…whether he hits Week 4 or 2019…he’s ‘next’. If you had Goff on your bench this week and are pouting because you started Mahomes, Rodgers, Ben, Brees, whomever. Why you cryin’? You just got full scale confirmation that Goff is a top 1-5 QB1 for 2018 and beyond. 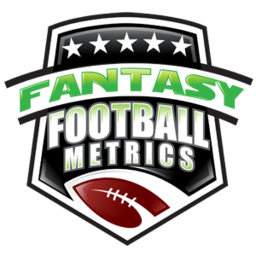 You missed a week but gained a top 10-20 fantasy asset overall…one you can know fully trust…because you didn’t before because you spent too much time listening to the people who are always wrong but wear suits and say stuff on TV. -- To prove I’m human, I was wrong about Kirk Cousins (36-50 for 422 yards, 3 TDs/0 INT) from the jump. Maybe, low key, my greatest scouting failure because I thought this guy was a future backup at best. He’s become a very good NFL QB. I don’t miss QB scouting by much…but this was not anything I thought possible back when I scouted him at Michigan State. Lost in Goff’s greatness was the fact that Cousins played a helluva game here, but another loss on the big national TV stage for him. It wasn’t because he did anything wrong. What’s crazy about Cousins is – check out the passing attempts on a Mike Zimmer team for Cousins this season (starting Week 1): 36-48-55-50. Two 400+ yard passing games this season with 10 TDs/2 INTs. He’s not as good as Goff but the Vikings are opening up/being forced to open up and it’s going to work for Cousins for fantasy. -- But just to prove I am super-human in scouting again…I was touting Adam Thielen (8-135-0/12) as a future ‘star’ back before he even got proper targets. When he started to breakout last season, I didn’t say he’d be good…I said one of the five best WR talents in the NFL. You saw this game…was I lying? He’s amazing. A pro route runner with high-end athleticism and great hands. He’s a real threat to finish top 3 among fantasy WRs this season. What a great value redraft pick while everyone else paid up for Julio Jones or DeAndre Hopkins or Keenan Allen, etc. -- Speaking of great WR calls…Brandin Cooks (7-116-1/8) was due for that long TD. Thank goodness Xavier Rhodes was out of the game. Rhodes was on Cooks all game, and I didn’t think Rhodes would go after Cooks then entire time because Cooks is faster and could fly by him -- but Rhodes played him pretty well. When Rhodes kicked a penalty flag and got a 15-yard misconduct penalty, Mike Zimmer really showed Rhodes who’s boss by pulling him for a play – which Goff the Great obviously saw that and laid a 47-yard gem right on Cooks in stride for the score. Rhodes also started cramping trying to stick with Cooks and missed more snaps as the game went on. Cooks is a WR1 this season. Cooks is still trading as a WR2 in places because of Cooper Kupp (9-162-2/11) being perceived as ‘the guy’ (he’s not, but he’s good too). It’s not crazy for you, as someone emailed me with the idea this week, to start Cooks-Woods-Goff in your fantasy lineup if you got two of them, to go get the other one, because of this offense. I thought Kupp would be a WR2.5-3.0 in this offense, he’s more WR2.0, with Woods WR1.5, Cooks 1.0. They might all be WR1s before this ends…this offense/Goff is only getting better. -- Oh, and was I right about Dalvin Cook (10-20-0) being a nothing? So nice of Mike Zimmer to push him to get ready for this game to kill drives with his runs to nowhere. Even if Cook wasn’t hurt, why not run Latavius Murray (2-2-0, 2-10-0/2) for balance or a spark? Zimmer’s 2018 downfall will be leaning on Cook too much, as I said this summer. -- You may have heard in-game, that Sean McVay told the TV analysts during the week that Gerald Everett (1-13-0/1) will start to see more activity/big things planned for him. That caught my attention hard. McVay does not give idol talk. I don’t know what it means for fantasy because he’d be 5th in line for targets but maybe a mini-Jordan Reed option is about arise – more killer pass game options for Goff. -- Anyone else think Rams CB Marcus Peters (6 tackles) is overrated after watching this? I mean, I get he gets the cool picks and all…but that doesn’t mean he an ace in play after play coverage. The Chiefs didn’t dump him cheap for no reason. He was burned a few times in this game. Thank goodness CB Sam Shields (4 tackles, 1 PD) picked up the slack -- a great, under-the-radar signing for the Rams this offseason. -- So, you have the Rams-DST and thought you were golden for 2018 after Weeks 1-3. Then the Aqib Talib injury. Then this game. Rodgers-Brees-Wilson-Mahomes-BYE Weeks 8-12 is ‘no, thanks’. If you got them prepare you exit strategy after Week 7.